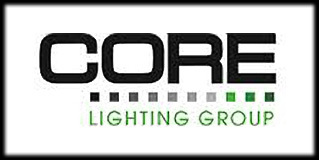 CORE Lighting was established as a joint venture between two innovative minds. Our mission from the begining was to engineer and develop state of the art lighting products that are not only earth friendly but also innovative. Our core foundation was created around quality, service, and innovation; hence, our name CORE Lighting. New technological advancements in the lighting industry, like Light Emitting Diodes (LED’s), are a great source of light with tremendous benefits. Our commitment is to utilize these new alternative lighting sources into your everyday environment. At Core Lightning, we strive to establish a long relationship with our partners to achieve our goals and our commitment to superior service.